Since 2013, Miroslaw has been a part of the EMEIA Advisory Center structures, where he is responsible for defining and building the IoT services for EY, as well as for creating digital solutions and the intellectual property that leverage the IoT ecosystem. Prior to joining EY, he worked for a new technology company and software developers. Miroslaw is a voting member of The International Society of Automation (ISA) and one of co-authors of a leading international cyber security industrial standards. 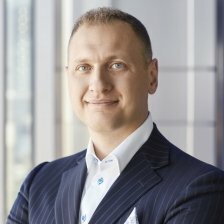 He earned his PhD in Computer Science and master’s degrees in Computer Science as well as Management and Marketing from AGH University of Science and Technology.